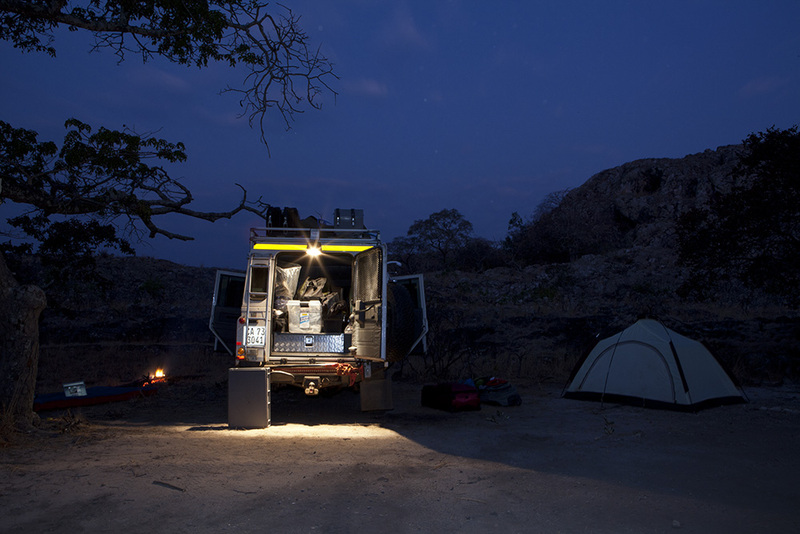 I set up camp today for the first time in the bush in Zambia… not wanting to turn my blog into a lonely planet happy camper blog – but standing back I thought it looks shamefully more like a god-damn village than 1 man pitting his wits against nature! shower – inflatable mattress etc…I’ve built up some weird and wonderful gadgets over the years which I treasure on these trips… I guess this is my version of creature comforts in old age…!! ← Views from the Rooftop con’t..
Great shot George. You are a great wrier . I wish I were on that trip. Bruce see you in 18 days!